Leica ScanStation P16: Precise laser scanning at the touch of a button. 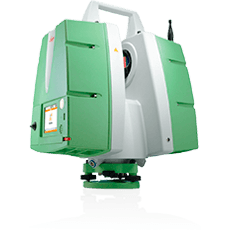 Combining high quality and performance with the highest environmental robustness in the market the Leica ScanStation P16 is the perfect entry into the world of 3D laser scanning. Its attractive price-performance ratio and user friendly interface make it an attractive solution even for the non-surveying user for all short range applications up to 40m. The versatile Leica ScanStation P16 features an intuitive and user-friend touch screen interface. With a one-touch scan button and software that walks you through with wizards, the Leica ScanStation P16 offers an easy workflow. Unequaled versatility for site, exterior, and interior applications, the Leica ScanStation P16 makes HDS profitable for even more as-built, topographic, incident scene, and monitoring surveys. 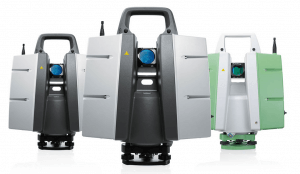 Leica ScanStation P30 & P40: Your complete scanning solution. The ScanStation P40 offers highest versatility including long range capabilities. Delivering outstanding range, speed and data quality whenever and wherever needed it is the perfect solution for any tasks in 3D laser scanning. The ScanStation P30 is a high versatility scanner suitable for a wide range of typical scanning solutions. With its optimal mix of speed, range and accuracy paired with unmatched robustness it is the all-in-one solution for the most comprehensive variety of applications. 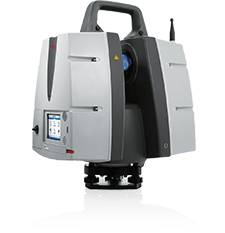 The Leica ScanStation P30 and P40 deliver the highest quality 3D data and HDR imaging, quickly. Unsurpassed range and angular accuracy with low range noise and survey-grade dual-axis compensation form the foundation for highly detailed 3D color point clouds mapped in realistic clarity. Whether you need a scanner for BIM, survey, plant or forensic work the P30 and P40 offer durable scanning hardware and a complete package with software built for the way you work. Leica ScanStation P50: For industry professionals looking to scan inaccessible places and find new business opportunities, Leica ScanStation P50 is the fastest and safest, long range 3D laser scanner. Unlike any other laser scanner, the P50 solution maximizes productivity by scanning inaccessible places at a safe position on site, reducing time in the field with less setups.